Why are Car Crash Fatalities More Common in The U.S. than Other High-Income Countries? Politicians and public health authorities in the United States often point proudly to reductions in traffic fatalities due to seat belts, airbags, and heightened enforcement of DUI laws. From the years 2000 through 2013, traffic fatalities in the United States dropped by 31 percent. Still, the National Safety Council estimates that more than 32,000 people were killed and more than two million were injured on U.S. streets and highways in 2013. Can we do better? Yes, we can, and a number of other nations already are. According to a study released this summer by the Centers for Disease Control and Prevention (CDC), our nation had the highest rate of traffic fatalities in 2013 per 100,000 people when compared against nineteen other developed nations. Traffic fatalities continue in the United States because of intoxicated driving, speeding, and the failure to use seat belts and booster seats. In 2013, about half of the people who perished in traffic in the U.S. were not wearing seat belts at the time of the crash. Erin Sauber-Schatz, one of the authors of the CDC report, added that distracted driving is a factor in at least ten percent of all fatal accidents and eighteen percent of accidents with non-fatal injuries. Anyone injured by a driver who is drunk, texting, talking on the phone, or otherwise impaired or distracted has the legal right to full compensation for medical treatment, lost wages, and all other injury-related damages. 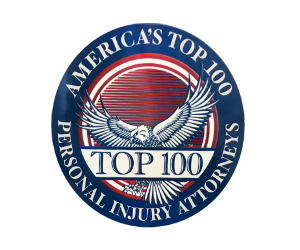 In the Chicago area, an experienced Chicago personal injury attorney can provide more details if you’ve been injured in a traffic collision. IN WHAT NATIONS DID THE CDC STUDY TRAFFIC STATISTICS? The CDC report considered statistics gathered by the Organization for Economic Cooperation and Development and by the World Health Organization. CDC researchers made statistical adjustments for differences in population size, vehicle ownership, and miles traveled. The other nations considered in the study were Norway, Slovenia, Spain, Sweden, Australia, Austria, Belgium, Canada, Denmark, Finland, France, the Netherlands, New Zealand, Germany, Ireland, Israel, Japan, Switzerland and the United Kingdom. The U.S. reported the most traffic fatalities per 100,000 people as well as the most fatalities per 10,000 vehicles. One reason for the poor showing by the U.S. is seat belts. Of twenty nations, the U.S. ranked 18th in seat belt use – 87 percent – by drivers and front seat passengers, and we ranked 13th in seat belt use by back seat passengers. France reported the highest compliance – 99 percent of French drivers and passengers wear seat belts – while Austria had the lowest compliance rate, just under the United States, at 86 percent. On average, however, 94 percent of the people in the other nations studied use their seat belts consistently. HOW DO TRAFFIC RULES DIFFER IN OTHER COUNTRIES? All nations differ slightly in the details of their traffic laws and enforcement. In some of the fifty U.S. states, for example, seat belt use isn’t required for back seat passengers. Alcohol consumption also varies widely among the populations. Of the nations studied by the CDC researchers, the U.S. tied for the second-highest percentage of deaths involving intoxicated drivers. “Drunk driving” is defined differently, too. While the legal blood alcohol content (BAC) level for drivers in the U.S., the U.K., and Canada is 0.08 percent, in many other nations it’s lower – 0.05 percent. Speeding also significantly impacts traffic fatality and injury statistics, and the U.S reported the eighth-highest percentage of speeding-related traffic deaths among the fifteen countries for which information about speeding was available. Other differences among the nations under consideration challenged the researchers. For example, while the U.S. has a higher legal drinking age than many other developed nations, it also has a lower legal driving age. “It is difficult to tease out the different pieces of road safety because it’s a complex issue,” said researcher Erin Sauber-Schatz. Ms. Sauber-Schatz cited speed cameras as one effective way to reduce traffic fatalities. She says that Sweden had the lowest traffic fatality rate of the nations under study, and the extensive deployment of speed cameras in Sweden is probably one reason why. The CDC report says that if the United States had the same traffic fatality rate as Sweden, 24,000 fewer traffic fatalities would have happened in 2013. CAN THE UNITED STATES DO BETTER? While traffic deaths in the U.S. have significantly declined since 2000, other nations do better. Spain reduced traffic fatalities by 75 percent from 2000 through 2013, and the other nations averaged a reduction of 56 percent. “It is important to compare us not to our past but to our potential. Seeing that other high-income countries are doing better, we know we can do better, too,” according to Dr. Debra Houry, director of the CDC’s National Center for Injury Prevention and Control. Eliminate possible distractions: Turn off your cell phone. Don’t eat take-out food or apply make-up while driving. If you enjoy music while driving, set up your music so that you don’t have to keep adjusting it. Never try to read a newspaper, map, or GPS device while driving. And of course, never drink and drive. See the big picture: Your driving environment isn’t all in front of you. You’re in the center of it. Whenever you drive, keep on top of what’s happening behind you and alongside you. Frequently look into the distance: At sixty miles per hour, a vehicle travels the length of a football field in fewer than four seconds. While it’s imperative to see what’s directly in front of us, an automobile’s speed also requires drivers to look farther ahead. Get in the habit of looking into the distance to avoid dangers developing ahead of you. Be able to swerve away: Have an escape plan. For example, if a child darts out in front of cars that are in front of you, will you be able to stop in time? Always keep sufficient distance between your vehicle and others so that you can stop or swerve away safely. If – despite your safety precautions – you are injured by a negligent driver, seek the advice of a personal injury lawyer, and in Illinois, speak with an experienced Chicago personal injury attorney. The law in the U.S. and the state of Illinois entitles those injured by negligent drivers to be fully compensated for their medical care and related expenses. Lawmakers, auto manufacturers, and police agencies have done a great deal to improve traffic safety in the United States, but as individual drivers, we can all do more.